Road trips can be great in a car – but even better on a motorbike. So whichever state of Australia you live in, here's a road trip to take. 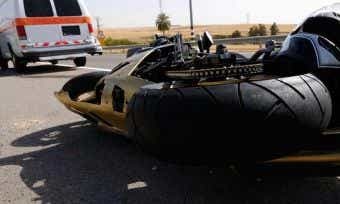 What excess will you pay for a motorbike crash? If you crash your motorbike, what will be your insurance excess? Motorcycle insurance is an insurance policy that can, depending on the type of cover you choose, provide you with cover for your bike against accidental damage to other people’s property, harm to other people or theft, fire or damage to your own bike. The type and amount of cover is dependent on the policy that you decide to take. 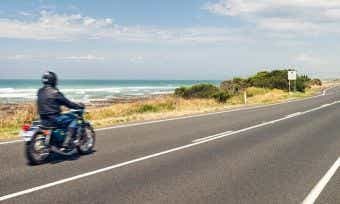 You are required by law to have CTP insurance in order to register your motorcycle in Australia. All other insurance policies are optional. What it covers: CTP offers protection to drivers or riders for personal injuries caused by your motorcycle in an at-fault accident and compensates other people injured in the accident. The specific conditions of this type of insurance are different from state to state. What it doesn’t cover: CTP doesn’t insure against the cost of repairs to your motorcycle or property, or anyone else’s vehicles or property. This is the most basic form of optional insurance cover. The cover protects you from legal liability for damage to other people’s property, so it can prevent you from going bankrupt should you accidently ride into your neighbour’s expensive car! What it covers: Third Party Property covers the cost to repair damage caused by your motorcycle to other people’s property. It will also cover your legal costs if they decide to sue you over the damage that your motorcycle has caused. What it doesn’t cover: Third party property doesn’t cover the cost of any repairs or replacement of your own motorcycle. This cover provides protection for your own motorcycle from damage due to a fire or theft as well as protection to cover damage to other people’s property. What it covers: Damage to the property of others, and damage or loss of your own motorcycle from fire or theft will be covered. Some insurers will have a limited cap on the amount of cover they will provide; for example an insurer may cover your motorcycle up to its market value or an agreed value. What it doesn’t cover: This insurance doesn’t cover the cost of repairs to your motorcycle if it is involved in a traffic accident. Comprehensive motorcycle insurance provides you with the highest level of cover and gives you the greatest peace of mind. The extensive coverage provided however is typically more expensive compared to other levels of cover. What it covers: Comprehensive insurance will provide cover from accidental damage both at-fault and not-at-fault, theft, third party property damage, damage caused by uninsured drivers, vandalism, earthquakes, hail, storm and flood. If your motorcycle is written off within a certain period of time after it was first registered, your insurer will replace your motorcycle. In addition to this, these policies are also valid in the event of an accident if the rider of the motorcycle is not a nominated rider. Optional extras are also available which range from the cost of a driver training course, cover for your replacement motorcycle should you decide to sell or replace your current motorcycle, apparel and the cost of a replacement hire car. See below for more information. 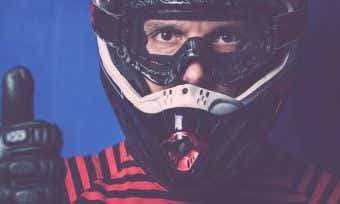 What it doesn’t cover: Some exclusions on cover include but are not limited to incidents that occur when the motorcycle is being ridden by or is charge of anyone who was under the influence of alcohol, drugs or medication, if the motorcycle is not roadworthy and if it is used for business purposes. Injuries or death to other people? 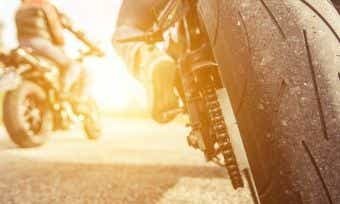 Which type of motorcycle insurance should you have? Choosing the insurance that’s right for you will largely depend on your budget, but ideally you would get the best cover you can afford. In the long run, it would be worth weighing up the insurance premium payable (and definitely shop around) against how much you can afford to fork out in the event of an accident or if you need repairs done. With a shiny new two-wheeled machine, it makes sense to have comprehensive insurance to help keep it that way. Similarly to cars, if you have finance on your motorcycle lenders will require you to take out comprehensive cover. 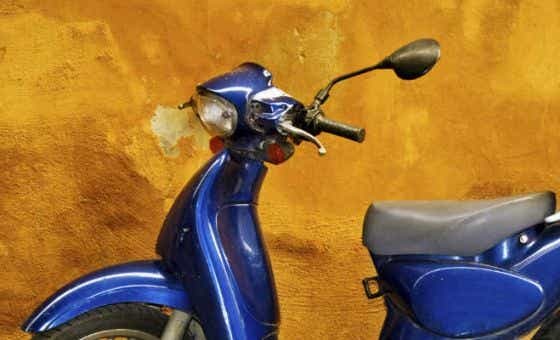 As your motorcycle gets older, however, you might begin tossing up the value of the motorcycle and the cost of doing repairs against the cost of comprehensively insuring it. Hopefully, if you total a motorcycle that’s quite old and not worth much anymore, you’ve probably already started saving for a replacement. There are some great discounts available for buying your motorcycle insurance online, ranging from $25 to $50 for comprehensive insurance cover, so it pays to shop around and compare your options. Just make sure that you’re not buying online solely because of the price. You also want to make sure you’re covered for what you need, so always read the fine print in the product disclosure statement (PDS). What does comprehensive motorcycle insurance cover? CANSTAR has rounded up the facts on what you’ll be covered for when you get comprehensive motorcycle insurance. We also have the theft and road accident statistics to show you’d have to be an absolute squid not to be covered. Inclusions: What does motorcycle insurance cover? In the event that your motorcycle is damaged during an accident, insurance providers such as CANSTAR national winner Swann Insurance will typically repair your motorcycle or compensate the cost of you orgainising and having the repairs done. Insurers will only pay up to the “sum insured” amount, which means either the agreed or current market value of your motorcycle that is listed on your policy. If the motorcycle has incurred damage that is beyond repair and has been registered for less than twelve or twenty-four months (the specification differs between insurers), the insurance provider will give you the choice of a replacement motorcycle or pay you the sum insured amount. The insurance provider also usually covers associated costs with an accident, such as towing, clean-up of debris, emergency expenses such as accommodation and travel, replacing damaged keys or locks, and repair of a trailer attached to your bike at the time of the accident. Across the institutions we assessed for this rating, your cover remains valid even if the rider of the motorcycle at the time of the accident wasn’t the nominated rider in your policy. Theft is the forced removal of your motorcycle from any place where you are storing it. Swann Insurance identifies two types of theft: theft from your usual place of residence, and theft while motorcycle is temporarily removed from your usual place of residence. In order to be covered for theft, your motorcycle must be stored in a locked building such as a garage or shed. Whether your bike is at home, university, work, or elsewhere, it must be locked up tight or you won’t be covered if it gets stolen. Attempted theft is simply an attempt to forcibly remove your motorcycle from any place where you are storing it. Such an attempt may involve damage to your bike, its locks and keys, and the place where you are storing it. As the name suggests, this is damage to the property of a third party. You and the insurance provider are the first two parties and anyone else – such as a vehicle or building that you hit in an accident – is the third party whose property you have damaged. Comprehensive policies and third party property damage policies will both cover this damage. If you are in a collision with a vehicle whose driver is uninsured, your insurance provider will generally pay to repair the damage to your motorcycle. Most insurance providers will cover the damage up to the sum insured amount while some have lower caps. There is one insurance provider we rated in 2015 that does not cover damage caused by uninsured drivers at all. Your motorcycle may be damaged by storms, hail, or floods – but it should be covered for all three if you have comprehensive insurance. According to the Financial Rights Legal Centre, storm is often defined as storm rains, cyclones, or severe atmospheric disturbances, any of which can be accompanied by strong wind, rain, lightning, hail, snow or dust or sand in the air. Storm damage can also include run-off rainwater that runs across the surface of the land or road, overflows from storm water drains, and overflows from pools and spas. Hail damage is usually covered under storm damage, although many insurance providers do not list it specifically. Flooding of a property from rainwater is usually treated as storm damage rather than flood damage. Some insurance providers such as Swann Insurance require that the damage be caused by an officially named cyclone in order to cover the damage. The Federal Government’s Geoscience Australia Department defines an earthquake as “the vibrations caused by rocks breaking under stress”, caused by compression in the Earth’s crust and the underground movement of rocks along the fault plane. Only one institution that we rated in 2015 does not cover you for damage to your motorcycle caused by an earthquake. Fire and explosion damage covers everything from your fuel tank catching fire, to your motorcycle being burned by a bushfire or grassfire. Fire is covered by comprehensive and third party fire and theft insurance policies. The following additional benefits are often included in standard policies or offered as optional extra cover. You tend to get a higher amount of coverage for optional cover where you pay extra on top of your policy premium in order to receive the benefit. Your trailer is often covered automatically or optionally if it is attached to your bike at the time of an accident, and is damaged as a result. The level of cover can range from $750 to $5,000, according to our 2015 ratings. If you decide to sell or replace your current motorcycle with another one, the replacement motorcycle will automatically be covered by the same level of insurance. This cover is temporary and typically only lasts 14 days to give you time to sign up your new motorcycle for its own insurance policy. The amount of cover for riding apparel can range from $500 to $5,000. If your motorcycle is stolen or damaged maliciously, it will need to have its keys and locks replaced and recoded so that it cannot be stolen again. You should be covered for an amount of typically $750 to $2,000 for this purpose. There are different rider training courses available which include advanced rider courses or beginner course which allow you to attain a licence. These training courses are conducted under the direct supervision of trained motorcycle riding instructors, and different insurance providers will often have their own courses that they recommend. You will not be covered for any incidents that occur when the motorcycle is being ridden by or controlled by anyone who is under the influence of alcohol, drugs, or medications that affect their ability to control the motorcycle. You will not be covered for any incidents that occur if your motorcycle is being used for business purposes. This includes using your motorcycle for hire, rider instructions, or taking passengers for fare or reward. It also includes using your motorcycle to carry hazardous and flammable goods in quantities larger than that allowed by regulation. The business use exclusion does not apply if you run a business to give pillion passenger tours and you have the correct licence to conduct these tours. You will not be covered if any non-manufacturer modification was made to your motorcycle that is not street legal, roadworthy or approved by the transport department in your state or territory. You will not be covered for any incidents that occur while you are using or testing your motorcycle in preparation for any motor sports, or using your motorcycle on motorcycle tracks such as dirt bike tracks. This does not apply to rider training courses that are conducted on motorcycle tracks.